Thanks to a generous contribution from the NADACE ČEZ Foundation, the South Bohemian police has deployed Regula document verification device – the video spectral comparator Regula 4307. The comparator will help immigration officers to improve document authentication efficiency in terms of the migration crisis. The video spectral comparator Regula 4307 is intended for advanced security examination of travel documents, ID cards, driver’s licenses, visas, residence permits, revenue stamps, banknotes and other securities. In the long run, it will help the South Bohemian police to detect counterfeit documents and protect Czech borders from illegal migration. The number of forged passports detected in the South Bohemian region has risen sharply in the past few years. During the last inspection of illegal workers, eleven people with fake documents were arrested by police officers. During the first six months of this year, South Bohemian police officers revealed 71 counterfeit documents. On comparison, the same number of forgeries was detected within the whole year in 2017. 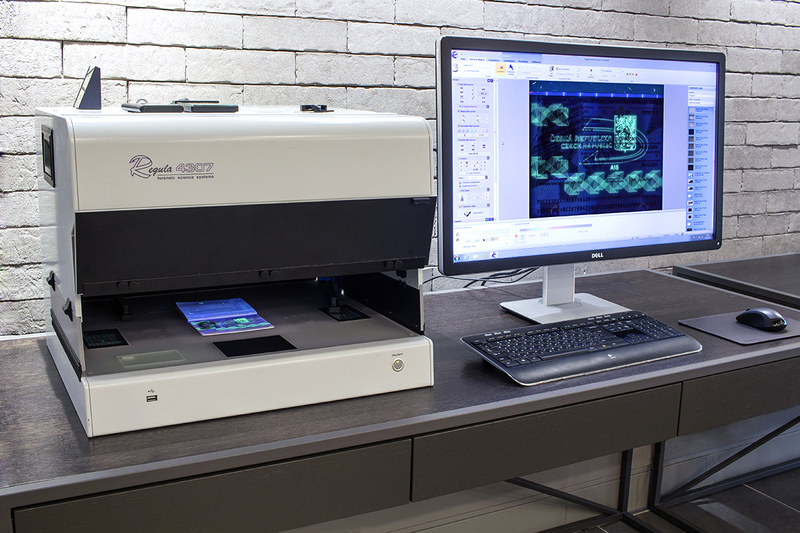 The new video spectral comparator Regula 4307 will make the process of document verification in the South Bohemian region more efficient. "The device will make it easier for us to work. If we compare it to middle and upper-middle-class cars, we can classify this device as the upper-middle-class category", said Petr Kučera from the South Bohemian Foreign Police.